Technology has impacted every industry and aspect of society, making tasks and processes easier and more efficient. Those advancements also extend to your facility’s commercial heating and cooling systems. The emergence of the Internet of Things (IoT) means every system can be easily connected so it can share information. As a result, commercial HVAC systems have dynamic new features that can help facility managers monitor their system and realize significant savings. Commercial HVAC efficiency improvements could reduce your heating by 77 percent and cooling by 78 percent, according to the U.S. Department of Energy. Smart commercial HVAC systems can give you insight into your system’s energy consumption like never before. The technology monitors your industrial HVAC system and can provide information, such as temperature, air quality, lighting and water usage. It can also show you which areas of a building have higher energy usage. With this data, you can analyze your energy consumption and determine which areas of the building may be drawing more energy. It’s one thing to have your commercial HVAC system serviced by an industry professional to keep it operating efficiently. It’s another to be able to predict when a part will need to be replaced. Smart technology provides this type of information. It can detect potential problems in the system and alert technicians, who can be dispatched to fix the problem. It gives you the potential to prevent malfunctions entirely, which can extend the life of your equipment and save you money. Using a smart thermostat allows you to have more control over your building’s heating and cooling system so you can maximize your cost savings. These thermostats learn your building’s usage patterns and offer recommendations on usage so you aren’t heating or cooling the building unnecessarily. New technologies provide various ways to improve air quality, humidity control and ventilation. Some systems use sensors to monitor air quality and keep air levels within an appropriate range, while avoiding overventilation, which wastes energy. Other new technologies improve humidity control by conditioning outdoor air separately from indoor return air. By removing moisture from the outside air, it reduces the load on the cooling system, which conserves energy. New industrial HVAC innovations are always being added that can help improve your building and improve your bottom line. Our industry-leading 5-Star Seal of Approval HVAC contractors can discuss how the latest technology can boost the efficiency of your commercial HVAC system and save your business money. 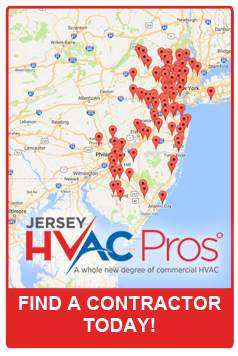 Find a contractor near you today.